We provided this building to Bishopton Vets based in Ripon, North Yorkshire. 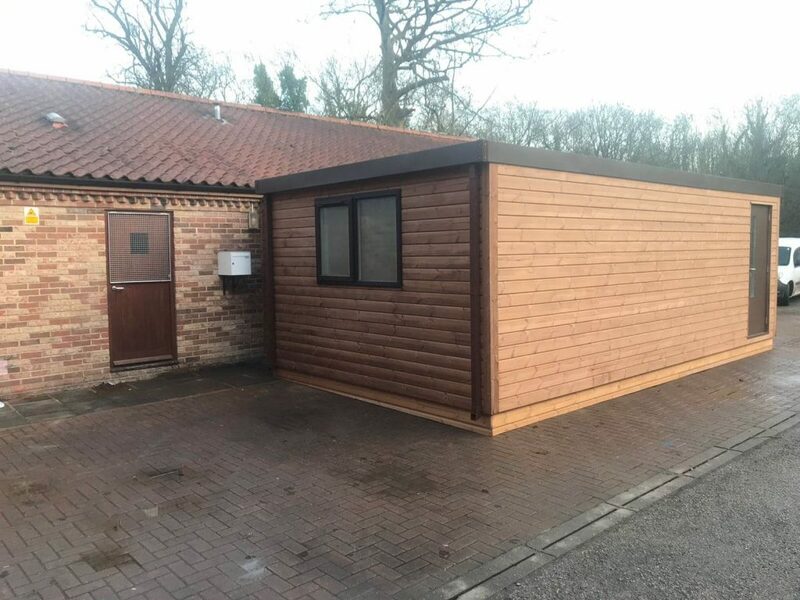 Our installation team linked it through to the existing building, and this has given Bishopton Vets extra space to house cats whilst they wait for treatment. The building has been taken on hire for two years. We have designed the building to suit the clients specific veterinary requirements.